Eurotramp Equipment | Rebound Products Inc. Rebound Products is a Eurotramp dealer. We can get any equipment they sell. 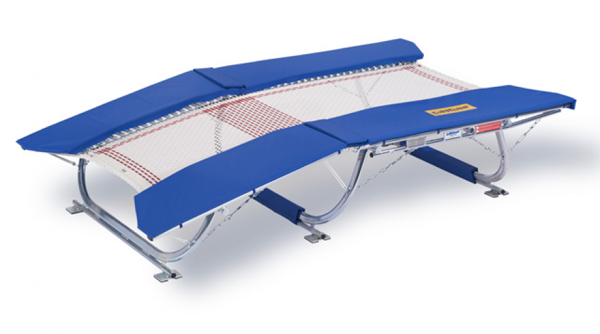 This includes their new narrow webbed beds and new ultimate line trampoline and DMT frames. 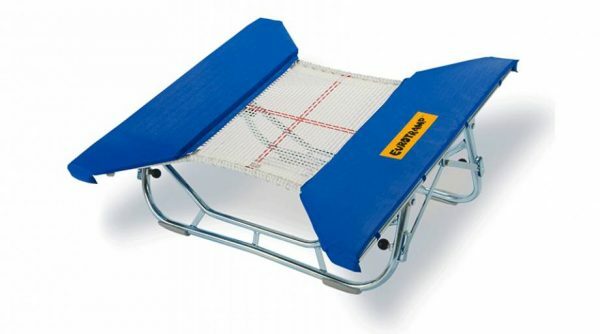 The ultimate trampoline frame was a joint design project between Eurotramp and Rebound Products. This frame is a huge step forward incorporating many of the design features that we pioneered with the Steadfast 1 frame such as widely placed floor protectors, stiffer legs for low flex and triangulated dual leg bracing in the corners. Combined with Eurotramp’s quality steel, manufacturing standards and slick leg brace ball joint attachments, we get a light strong frame that is quick to set up and creates an very stable platform. 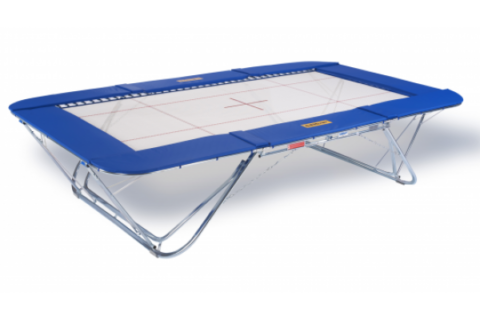 *Most customers prefer to buy the trampoline frames with Rebound string bed, springs and frame pads.